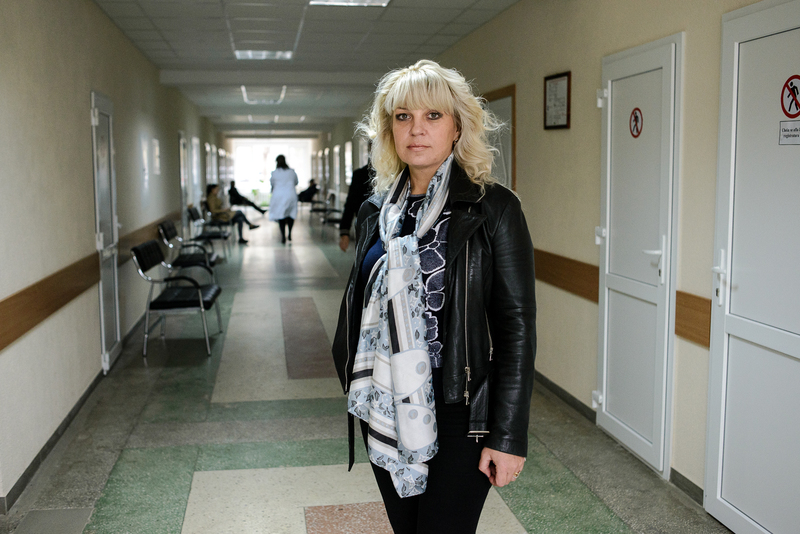 CHISINAU, Moldova – Irina Starciac, 46, was certain she was healthy. "I never had any symptoms that would get me worried,” she said. She was lucky, then, that her family doctor decided to screen her for cervical cancer last September. “I was so sure my medical results would turn out fine that I even forgot to give the doctor my phone number,” she recalled. When the results came back showing pre-cancerous lesions, “the doctor had to find me through social media," she said. The doctor’s dedication paid off. Within weeks, Ms. Starciac had undergone surgery to prevent the lesions from progressing into cancer. Cervical cancer is extremely deadly. Globally, the mortality rate is 52 per cent. It is also extremely common – it ranks as the fourth most frequently diagnosed cancer among women. In the Republic of Moldova, a woman is diagnosed with cervical cancer almost every day, and every three days, a woman dies from the disease. Yet vast majority of these deaths could be prevented with simple screening and vaccination efforts. Lesions can be easily treated when caught in a precancerous state, and the cancer itself is more survivable when caught early. Yet many women do not know about cervical cancer screenings, or have difficulty accessing them. According to a new study by UNFPA, screenings reach only about 40 per cent of Moldovan women who should receive them. Since 2013, UNFPA has been working with the Government and other partners to strengthen cervical cancer prevention measures, including training family doctors like Ms. Starciac’s to perform screenings. UNFPA has also leveraged resources to equip laboratories with modern equipment. Today, a comprehensive cervical cancer prevention programme in Moldova – part of a partnership between the Government, UNFPA, the Swiss Agency for Development and Cooperation, the Romanian Agency for International Development, the International Cervical Cancer Prevention Association and the World Health Organization – aims to reduce this disease by 20 per cent by 2025. The programme will increase the capacities of health providers in screening services, will set up an electronic screening registry to improve data collection and monitoring, will increase vaccinations against the human papilloma virus, the leading cause of cervical cancer. Awareness-raising efforts will increase use of these important services. And on 29 January, the National Colposcopy Referral Centre will launch in Chisinau, with support from UNFPA and the Embassy of Japan in the Republic of Moldova, through the Kusanone programme. The centre will coordinate colposcopies – a cervical examination procedure – around the country. Irina Starciac prevented cervical cancer through the Pap test and urges all women to follow her example. Ms. Starciac is a sales manager and mother of three sons. Her life is busy and full. Still, she has always made time to see her family doctor once a year. After her recent brush with cervical cancer, she has begun advising friends to do the same. "Seeing my example, all my friends went urgently to the doctor. Some of them discovered they had serious health problems and managed to treat them," she recalled. Ms. Starciac wants all women to take the same precautions.